Cellulite is a problem that almost every woman on the planet is struggling with. Unfortunately, we have not invented a magic pill that would instantly help us get rid of cellulite yet. Therefore, correct nutrition and regular exercising will help you overcome this problem. Cellulite is a problem that needs to be solved in a comprehensive way. It is important to keep a healthy diet, to drink enough water and at the same time to exercise on a regular basis and not to forget about cosmetic procedures. 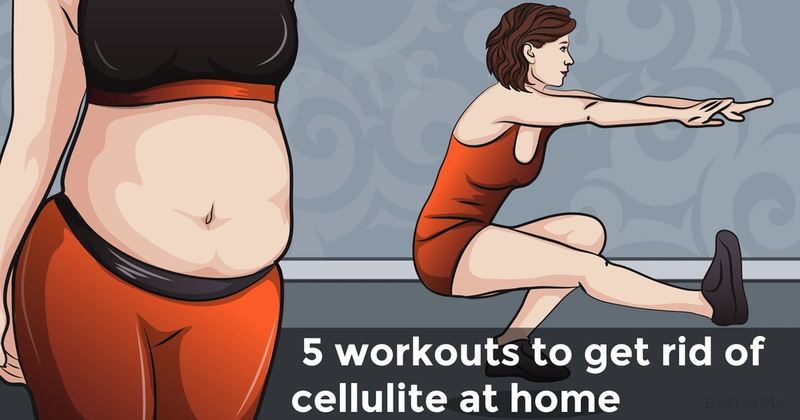 As for exercise, we chose the 5 most effective workouts to get rid of cellulite at home that are easy to do anywhere you want. 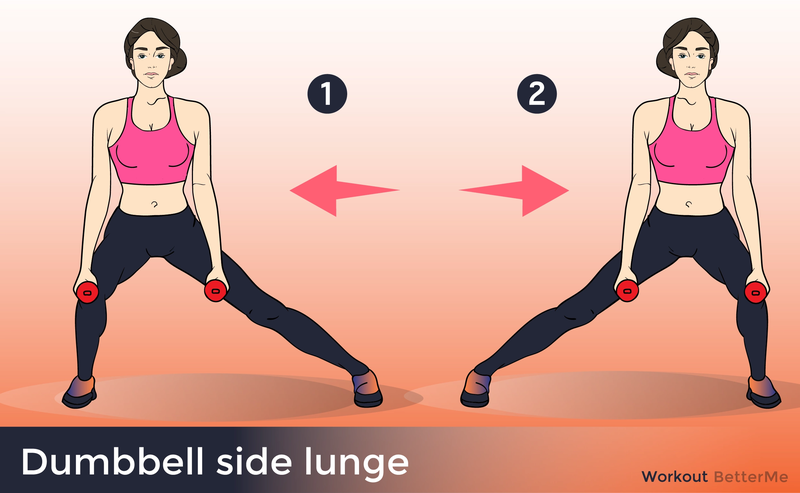 The best anti-cellulite effect is reached by exercises that increase blood circulation in problem areas - in the hips, buttocks and abdomen. #1. Lateral goblet lunge. You should perform two sets of twenty repetitions. #2. Plie squat. Again perform two sets of twenty repetitions. #3. Weighted bridge. You should perform two sets of twenty repetitions. #4. Lying abduction. 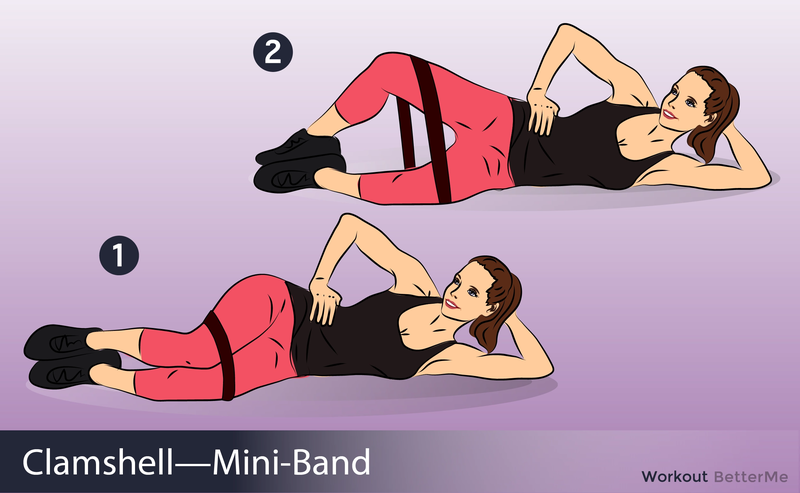 Again perform two sets of twenty repetitions. #5. Reverse lunge. 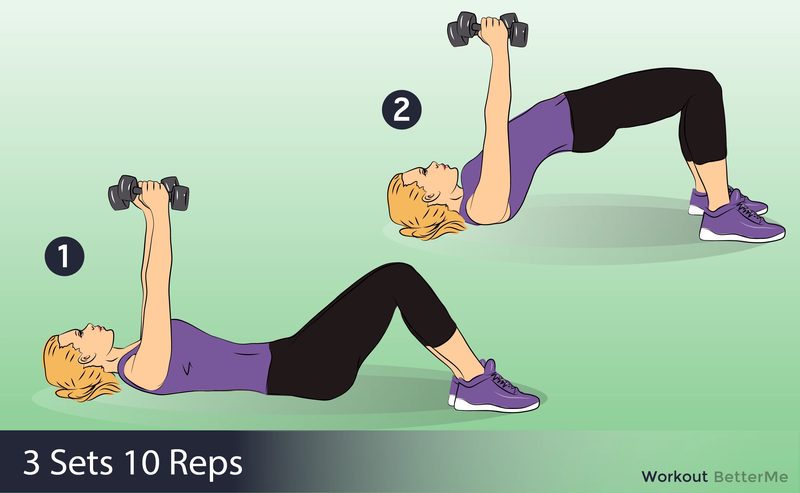 You should perform two sets of twenty repetitions. No matter how trite it may sound, there is no other way to achieve perfect skin. As for nutrition, first of all it is necessary to limit the consumption of sweet, flour, fried and fatty. When it is summer, the period you can eat fresh fruits, berries, vegetables and herbs - take advantage of this. From cosmetic procedures the most effective is massage (manual anti-cellulite, vacuum, honey - choose which one you like most of all). It is also useful to make coffee scrub once a week. Coffee can make your skin stronger and healthier.